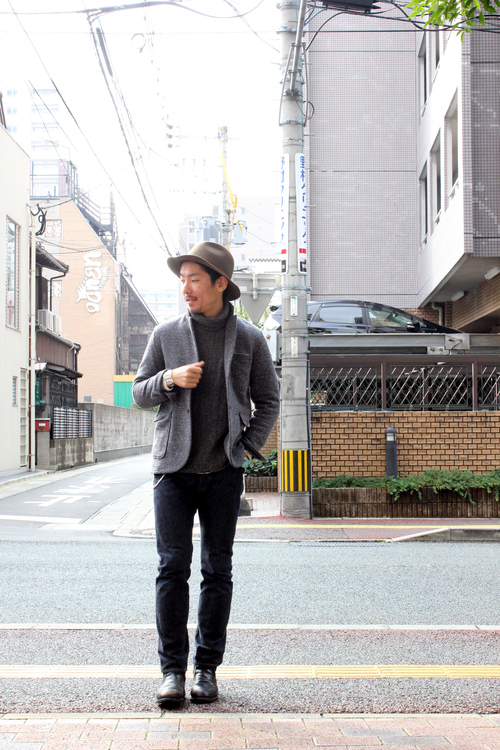 Knit : [ CURLY ] CABLE TURTLE NECK -CHARCOAL- new!! Hat : [ NEWYORK HAT Co. ] HOMESTEAD -PECAN- new! !